Business description - Sirca Paints is in marketing and trading/distributorship of paints and allied products after repackaging the same. The company procures the products from SIRCA SPA ITALY through Import and sells them in India through its distributors. In addition, the company also procures the products (Thinner, Abresives and Buffing Cream) from other suppliers based in India. Except Thinner and Abresives, which are purchased from domestic suppliers, all other purchases are made from outside India and the products which are purchased from domestic suppliers and sold out in India only. 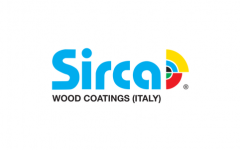 The company has entered into a Manufacturing License Agreement dated 16th February, 2018 with SIRCA SPA Italy for manufacturing the following products that it is currently distributing under the Product Distribution Agreement. Pursuant to this agreement, the company is having an exclusive right to manufacture the following products in India, under the mark “SIRCA” – Paints NC, Paints AC, Thinner, Polyurethane Products. Sirca Paints IPO allotment status is now available on Karvy Computershare’s website. Click on this link to get allotment status. It was not a good listing but the company has good to prove in coming years. The company has good potential and market is good to go.